Anyone who studies medicine or has a career in medicine knows that if you allow it, it can consume your life. It sounds dramatic, but considering that medicine is an ever expanding and evolving field and that there is never a shortage of people who need your services, your life can be quickly consumed if you’re not careful. Doctors and medical students are vulnerable at any stage of their career to become overwhelmed by all there is to learn and accomplish. However, junior doctors and medical students in particular seem to be the most susceptible to experiencing work-life imbalance and poor mental health. According to a study conducted by the AMA Council of Doctors in Training, 71% of junior doctors surveyed were concerned about their own health, and a majority of junior doctors met the criteria for burnout (69%) and compassion fatigue (54%). The study speculated this was due to coping with the demands of a new clinical placement, feeling pressure to not admit illness or take leave because of ill health, and not having time to maintain personal and social networks1. Recently, I travelled with a group of 25 medical students and doctors to Moreton Island to assist the Moreton Island Protection Committee (MIPC) with some ongoing park restoration projects. For a variety of reasons invasive species can become introduced to the island, begin to take residence, and subsequently supplant native species causing damage to the ecosystem. MIPC monitors areas at risk and, with the help of volunteers, removes those foreign plants and replaces them with local ones. Over the course of a weekend, we helped remove foreign and invasive species of plants to the island such as pink periwinkle and passionfruit and replaced these areas with native species such as banksia, panamas and casuarinas. Although at times arduous work, we were a keen group that was intent on being useful and spent a few hours a day getting the job done. What had drawn us all together was one commonality – a love and appreciation of nature. We were volunteering as members of Doctors for the Environment Australia, an organisation that strives to create a “healthy planet for healthy people”. For us, it is an ongoing, tenacious mission to continue to leave a positive imprint on the environment and to encourage others to make similar thoughtful choices. Contributing our time to restoring some of Australia’s natural landscape was in theory enough of a reward in and of itself, but what really made the experience so rewarding was being able to escape the hustle and bustle of the city and reinvigorate ourselves. Moreton Island, like many of Australia’s coastal islands, offers an atmosphere of tranquillity and relaxation that those of us in the medical profession often deprive ourselves of. There were many moments during our excursion where we would take swims in the Blue Lagoon, watch the whales leap out of the water from the beach, take a quick surf, or just have a nice group meal at our campsite. On the way home, those who participated in the experience commented that being able to detach from modern conveniences, such as our mobile phones and computers, and immerse in nature really improved their mood and mental state. I know I felt more relaxed without feeling the pressure to respond to text messages and emails. This positive effect should not have come as a surprise. Global research since the 1980s has demonstrated that spending quality time in green space contributes to enhanced mood, lower levels of anxiety and stress, and lower levels of depression2-6. This is best captured in Beyond Blue’s report in 2010 entitled Beyond Blue to Green. Not to mention the added physical health benefits of activities like swimming, bush walking, and landscaping. From a personal perspective, I remember walking down to the coast from our planting site on the final day of our trip. Together with the other volunteers we hopped into the ocean and frolicked amongst the waves. I emerged from the water after some time and took a moment on the rocks to sit and reflect. Feeling the warm sun on my skin and hearing the cool breeze rustling through the trees I couldn’t help but experience a moment of peace and balance. I believe it is essential that all of us in the medical profession, but especially junior doctors and students, take time to regroup and reconnect with our natural environment. Not only does it improve and strengthen one’s mental health, but it continues to remind us that everything in life is interconnected. To care for the environment means to care for us as well. Markwell AL, Wainer Z. The health and wellbeing of junior doctors: insights from a national survey. Med J Aust 2009; 191(8): 441-444. Ulrich R, Addoms D. Psychological and recreational benefits of a park. J of Leisure Research 1981; 13: 43-65. Godbey G, Blazey M. Old people in urban parks: an exploratory investigation. J of Leisure Research 1983; 15 (3): 229-244. Hull R, Michael S. Nature-based recreation, mood change, and stress restoration. Leis Sci 1995; 17 (1): 1-14. O’Campo P, Salmon C, Burke J. Neighbourhoods and mental wellbeing: what are the pathways? Health and Place 2009; 15: 56-68. Devries S, Verheji R, Groeneweggen P, Spreeuwenbuerg P. Natural environments – healthy environments? An exploratory analysis of the relationship between greenspace and health. Environ and Planning 2003; 35: 1717-1731. 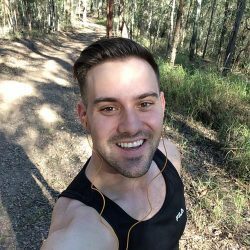 Beau Frigault is a 3rd year medical student at the University of Queensland and is currently the Queensland student state rep for Doctors for the Environment Australia. A volunteer with green organisations for many years, Beau’s keen interest in biodiversity and ecosystem protection stems from summers spent in rural Canada camping with his family.